Come and support the Morning Marathon and Girls on the Run clubs by participating in a 5K Fun Run/Walk. All of the proceeds will go to these two excellent activities! Please click on the links below for more information. Staff from the University of Nebraska-Lincoln will host the Nuestra Familia, Nuestra Universidad (Our Family, Our University) program on May 6th in Scottsbluff and Gering from 6-9 PM at Centennial Park. Families are invited to attend the festivities. Activities for all ages will be provided along with food, music, lawn games, and dancing. Lil Red will be making a special appearance at the event taking pictures and giving prizes. For additional information please visit admissions.unl.edu/nfnu. National History Day is an educational program devoted to the learning of history. Last fall, students chose a topic related to the annual theme (“Turning Points in History – People, Ideas, Events”). and conducted extensive research using both primary and secondary sources. After analyzing and drawing conclusions about their topics’ significance in history, they presented their work in an original project. The district contest was held February 21st at Chadron State College and on April 20th, the state competition was held in Lincoln. 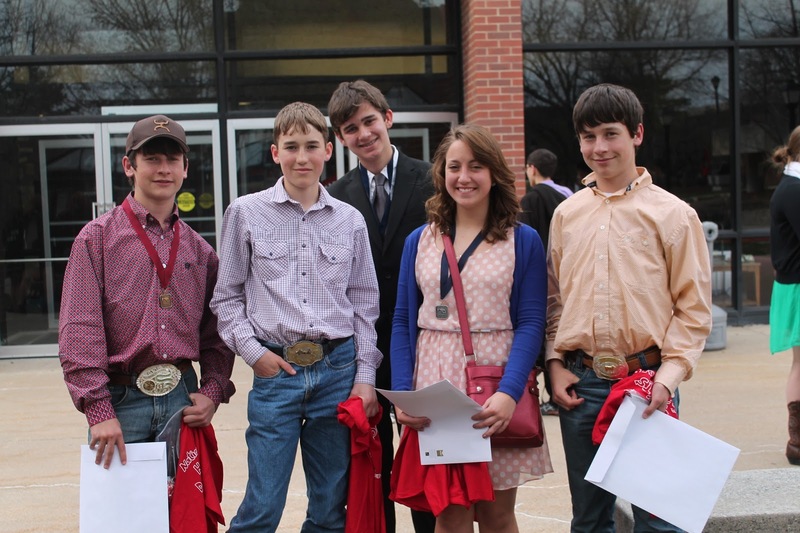 Chadron Middle School had 5 students qualify to compete at the national contest in Washington D.C. June 8th to the 14th. Congratulations to Beau Jersild, Cody Madsen, Drew Jersild and Walt Mays for advancing to the National round of the National History Day Competition! Jersild, Madsen, and Jersild took first place at the State of Nebraska competition, submitting a project about the Pony Express. Mays took second place at State with his documentary on Nicolaus Copernicus. The National competition will take place in Washington D.C. on June 9th-13th. Beau and Drew are the sons of Craig and Sandy Jersild, Cody is the son of Justin and Carey Madsen, and Walt is the son of Roger and Lucinda Mays. The students are sponsored by their Social Studies teacher, Mrs. Cathy Kaus. Congratulations to all 13 of the CMS students that qualified for State and we wish Beau, Cody, Drew, and Walt the best of luck at Nationals!